Home » Brain Function » Depression » Depression Treatment: Are Antidepressants Worth It? Major depression is one of the most common conditions in the U.S.; therefore, more and more people require depression treatment like antidepressants every day. But, are antidepressants worth it? The many side effects of antidepressants tell us that these drugs are rarely the solution to the problem at hand. From time to time, we all feel depressed. A traumatic experience or loss may have you feeling sad, distressed, or disappointed, which are normal human emotions. But after a few days, we often go back to normal. Major depression is something more serious, and it is considered a period of overwhelming sadness. Things that once brought you pleasure no longer do so. Understandably, when this type of depression is left untreated, it can put your life at risk. In fact, up to 70% of suicide victims are clinically depressed patients, and 90% of those with a combination of substance abuse and depression struggle with suicidal thoughts. Clearly depression treatment is very important; however, are antidepressants the best solution? This article will delve into that question, including the efficacy of antidepressants, some of the side effects of antidepressants, and studies that show antidepressants work no better than a placebo for certain degrees of depression. Are Antidepressants Really Worth It? One in seven people will suffer from depression symptoms at some point in life. In 2015, about 16 million American adults reported at least one major depressive episode. When it comes to all forms of depression, that number is even higher with nearly 24 million people dealing with some type of depression in the U.S. The problem is that the typical depression treatment of antidepressants can lead to a slew of other health problems. Research shows that antidepressants are far too overprescribed. For instance, nearly one in eight Americans over age 12 have reported to be on antidepressants. Antidepressant use has increased by 65% between 1999 and 2014. Many psychiatrists are trained that antidepressants are to the depressed as glasses are to the near-sighted. In other words, if you feel depressed, you’re prescribed an antidepressant. A research paper published in The Journal of Clinical Psychiatry in 2015 determined that among antidepressant users, 69% never met the criteria for major depressive disorder (MDD), while 38% never met the criteria for MDDD, panic disorder, obsessive-compulsive disorder (OCD), social phobia, or generalized anxiety disorder at any point in their lifetime. Many people prescribed and using antidepressants may not even have met the criteria for any mental disorder, and yet these drugs are given anyway. Antidepressants are also often prescribed for post-traumatic stress disorder (PTSD), anorexia, bulimia, irritable bowel syndrome, and more. Selective serotonin reuptake inhibitors (SSRIs): SSRIs are often the first antidepressants doctors prescribe and include paroxetine (“Pexeva,” “Paxil”), fluoxetine (“Prozac,” “Selfemra”), citalopram (“Celexa”), escitalopram (“Lexapro”), and sertraline (“Zoloft”). Norepinephrine and dopamine reuptake inhibitors (NDRIs): The antidepressant bupropion (“Forfivo XL,” “Aplenzin,” “Wellbutrin”) fall into this category. Serotonin and norepinephrine reuptake inhibitors (SNRIs): SNRI medications include venlafaxine (“Effexor XR”), duloxetine (“Cymbalta”), levomilnacipran (“Fetzima”), and desvenlafaxine (“Khedezla,” “Pristiq”). Tricyclic antidepressants: These tend to cause more side effects than newer antidepressants; therefore, they aren’t prescribed unless you’ve tried SSRIs first. These include protriptyline (“Vivactil”), desipramine (“Norpramin”), trimipramine (“Surmontil”), doxepin (“Sinequan”), amitriptyline (“Elavil”), nortriptyline (“Pamelor”), and imipramine (“Tofranil”). Atypical antidepressants: These types of drugs are not thought to fit into other antidepressant categories and include mirtazapine (“Remeron”), trazodone (“Oleptro”), vilazodone (“Viibryd”), and vortioxetine (“Brintellix”). Monoamine oxidase inhibitors (MAOIs): MAOIs may be prescribed when other antidepressants have failed to work. These drugs also require a strict diet due to their interactions with foods like certain wines, pickles, and cheeses. MAOIs also interact with decongestants, birth control pills, and certain herbal supplements. Unfortunately, the most common depression treatment is also the least effective. Not only are there potentially dangerous side effects, 40% of those with major depression treated with antidepressants never achieve full remission. The American Psychiatric Association has also noted that antidepressants are “potentially unnecessary and sometimes harmful.” Antidepressants are meant to make you happy, but the side effects show that not much happiness comes from taking these pills. Countless TV ads claim side effects of antidepressants are rare, and the benefits outweigh the risks. But, is this really true? Patients that experience these side effects are told to hang in there, and that the problems will improve over time. If these side effects don’t resolve, doctors will adjust the dose, or even add a second or third medication to the mix. As a result, severe reactions will include suicidal thoughts, psychosis, seizures, suicide, violence, and a desire to harm others. For instance, some people have been charged with first-degree murder after being under an antidepressant “Paxil”-induced state or psychosis. Individuals such as this have been deemed not criminally responsible on account of a mental disorder. Prior to taking the antidepressant, there was no history of violence or mental illness. On top of all this, patients with MDD are at an increased risk of overdosing as a common method used to attempt suicide. What Is the Serotonin Theory? The predominant theory behind modern antidepressants is that they work by increasing the availability of the neurotransmitter (chemical messenger) called serotonin. This is based on the idea that depression is caused by low serotonin in the brain. Antidepressants also enhance the levels of two other neurotransmitters: dopamine and norepinephrine. This observation led to the monoamine hypothesis of depression, where the deficit of certain neurotransmitters is responsible for the features of depression. 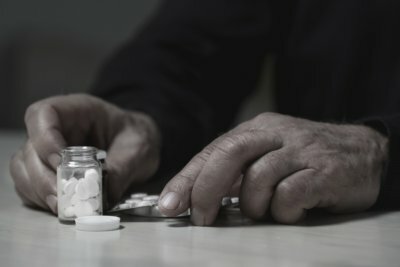 However, not one human study supports the monoamine hypothesis of depression, and imaging studies, animal models, and post-mortem suicide assessments have also never yielded consistent patterns of neurotransmitter levels, receptor profiles, or metabolites to confirm the monoamine hypothesis. Research published in the journal PLOS Medicine in 2006 suggests that antidepressants actually create abnormal states in the brain rather than repair them. In this analysis, the research team uses the analogy of alcohol’s disinhibiting effects. Basically, just because alcohol can ease social phobia, doesn’t mean that alcohol is an appropriate treatment. Antidepressants that act on chemical systems of the brain force the body to adapt. These adaptations are likely responsible for the inferior long-term health outcomes found in both medicated and non-medicated patients, which had the same symptoms. Research has repeatedly shown that antidepressants work no better than a placebo for mild to moderate depression. A paper published in 2014 analyzed antidepressants and the placebo effect. In the paper, the researchers state that the analyses of the published data and unpublished data hidden by drug companies revealed that most, if not all, of the benefits of antidepressants are due to the placebo effect. The researchers were also surprised to learn how small the drug’s effect was. You see, 75% of the improvement in the drug group also occurred when the patients were given placebos with no active ingredient. A study published in the journal Archives of General Psychiatry in 2000 showed that suicide rates among antidepressant uses were not statistically different from suicide rates in those taking the placebo. While the antidepressants reduced depression symptoms by 40.7%, the placebos reduced symptoms by a similar 30.9%. When a meta-analysis looked at all clinical trials of antidepressants that had been submitted to the FDA (U.S. Food and Drug Administration), there was no difference between placebos and antidepressants for moderate depression. For very severe depression, there was only a small benefit; however, the researchers did point out that the benefit was not because the drug worked better but because the placebo had been working worse. Researchers in this review had also invoked the Freedom of Information Act to obtain access to unpublished studies, and when included, it was found that antidepressants outperformed the placebo in just 20 of 46 trials. So, do antidepressants sometimes work because people think they will work? Research from 2015 published in the journal Contemporary Clinical Trials shows that antidepressants can relieve 30% to 50% of depression cases simply because people believe they will work. The latest data to show that antidepressants sometimes work was published in the journal JAMA Psychiatry in 2015. For the study, researchers used brain scans to determine who was more likely to have an exaggerated response to a 10-week treatment of antidepressants. The researchers determined that those with more opiate receptor sites open and available were more likely to respond to a placebo and also more likely to experience relief with an antidepressant. Are antidepressants worth it? A recent analysis published in the journal Psychotherapy and Psychosomatics in 2017 would give insight on the long-term effect of antidepressant drugs. For the study, the researchers would find that major depressive disorder symptoms were more elevated nine years after depression treatment with antidepressants than being treated without medications. Major depression severity would also not account for increased depression after the use of antidepressants. The pattern here suggests that the long-term MDD symptoms were caused by the antidepressants. Not only do major depressive symptoms increase with the use of antidepressants, but at the end of the day, antidepressants also create a big habit that is hard to quit. Antidepressant withdrawal is sometimes called antidepressant discontinuation syndrome, and it will often last up to a few weeks; some antidepressants like SSRIs can lead to withdrawal symptoms for several months. Certain antidepressants may also produce withdrawal symptoms over other antidepressants. So, are antidepressants worth it? Basically, if your doctor knew the truth, they might immediately put away their prescription pad. But, if not antidepressants, then what? Some holistically minded psychiatrists will suggest you take the proper steps before coming off your antidepressants. A change in diet is thought to be the most powerful step, and this includes an elimination of gluten and dairy while increasing natural fats that help stabilize blood sugar. The diet will also focus on grass-fed meats and lots of organic vegetables, fruits, nuts, seeds, grains, and beans. It is also essential that you support your adrenals and gut. It is important that you train your body to respond to stress while also making sure you’re having regular bowel movements. Dietary probiotics like kimchi and sauerkraut can help heal the gut. Furthermore, it’s important to detox the body of chemicals by avoiding fluoride, pesticides, and plastics, which can greatly burden the liver and immune system. While tapering off antidepressants, it is a good idea to calm the nervous system with zinc, magnesium, phenibut, N-acetylcysteine, GABA (gamma-aminobutyric acid), 5-HTP (5-hydroxytryptophan), L-tyrosine, and dL-phenylalanine. Once these first steps have been taken, there is a strong possibility that the cause of the depression has been addressed, and you may not have the same need or get the same benefit of the antidepressants. Other natural intervention for depression may include vitamin D, B vitamins, and omega-3 fatty acids, as well as therapies like emotional freedom technique (EFT), visualization and guided meditation, and cognitive behavioral therapy. “Use of Antidepressants Continue to Rise,” Mercola; https://articles.mercola.com/sites/articles/archive/2017/08/31/antidepressant-use-continues-rise.aspx, last accessed Nov. 8, 2017. “Major Depression Among Adults,” National Institute of Mental Health; https://www.nimh.nih.gov/health/statistics/prevalence/major-depression-among-adults.shtml, last accessed Nov. 8, 2017. Takayanagi, Y., et al., “Antidepressant Use and Lifetime History of Mental Disorders in a Community Sample: Results From the Baltimore Epidemiologic Catchment Area Study,” The Journal of Clinical Psychiatry, 2015; 76(1): 40-44, doi: 10.4088/JCP.13m08824. Brogan, K., “What’s the Harm in Taking an Antidepressant?” Kelly Brogan MD; http://kellybroganmd.com/whats-the-harm-in-taking-an-antidepressant/, last accessed Nov. 8, 2017. Carvalho, A.F., et al., “The Safety, Tolerability and Risks Associated with the Use of Newer Generation Antidepressant Drugs: A Critical Review of the Literature, 2016; 85(5): 270-288, doi: 10.1159/000447034. Moncrieff, J., et al., “Do Antidepressants Cure or Create Abnormal Brain States?” PLOS Medicine, June 6, 2006, doi: 10.1371/journal.pmed.0030240. Brogan, K., “Antidepressant Discontinuation: The Why & How of Tapering,” Kelly Brogan; http://kellybroganmd.com/antidepressant-discontinuation-why-and-how/, last accessed Nov. 8, 2017. Kirsch, I., “Antidepressants and the Placebo Effect,” Zeitschrift Fur Psychologie, 2014; 222(3): 128-134, doi: 10.1027/2151-2604/a000176. Kirsch, I., et al., “Initial Severity and Antidepressant Benefits: A Meta-Analysis of Data Submitted to the Food and Drug Administration,” PLOS ONE, Feb. 26, 2008, doi: 10.1371/journal.pmed.0050045. Khan, A., et al., “Symptom reduction and suicide risk in patients treated with placebo in antidepressant clinical trials: an analysis of the Food and Drug Administration database,” Archives of General Psychiatry, April 2000; 57(4): 311-317; PMID: 10768687. Brogan, K., “What is the Placebo Effect?” Kelly Brogan; http://kellybroganmd.com/placebo/, last accessed Nov. 8, 2017. Moncrieff, J., et al., “Empirically derived criteria cast doubt on the clinical significant of antidepressant-placebo differences,” Contemporary Clinical Trials, July 2015; 43: 60-62, doi: 10.1016/j.cct.2015.05.005. Pecina, M., et al., “Association Between Placebo-Activated Neural Systems and Antidepressant Responses: Neurochemistry of Placebo Effects in Major Depression,” JAMA Psychiatry, November 2015; 72(11): 1087-1094, doi: 10.1001/jamapsychiatry.2015.1335. “Depressed patients who are treated with antidepressants do worse in the long run,” Medical Xpress, Oct. 25, 2017; https://medicalxpress.com/news/2017-10-depressed-patients-antidepressants-worse.html. Vittengl, J.R., “Poorer Long-Term Outcomes among Persons with Major Depressive Disorder Treated with Medication,” Psychotherapy and Psychosomatics, 2017; 86: 302-304, doi: 10.1159/000479162. Chouinard, G., et al., “New Classification of Selective Serotonin Reuptake Inhibitor Withdrawal,” Psychotherapy and Psychosomatics, 2015; 84:63-71, doi: 10.1159/000371865.